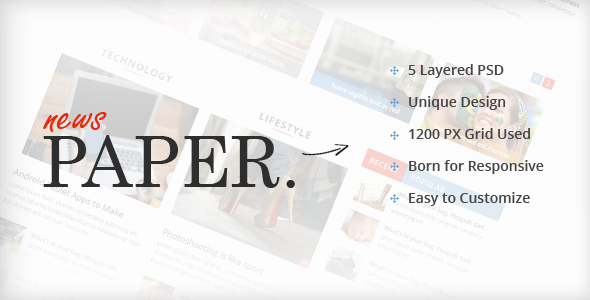 “News Paper” is perfect for news, magazine and blogging sites. Its clean, flat and beautiful grid based template. & fit for every blog platform. Item Reviewed: News Paper The PSD Magazine Template 9 out of 10 based on 10 ratings. 9 user reviews.